Successfully Added MP4 Player 2GB - 1.8 Inch Screen + Password Setting to your Shopping Cart. 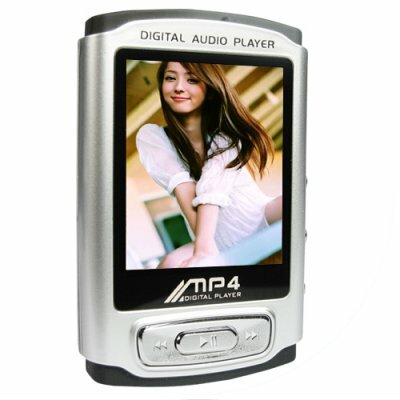 MP4 Player 2GB - 1.8 Inch Screen + Password Setting. Attractive looking, 1.8-inch screen MP4 player. With it's 65,000 color OLED display, watch videos with great clarity or listen to FM radio or music in multiple formats. This unit sports a great design and is extremely easy to use. Protect your data with the nifty password feature. Pump up your sounds with the awesome selection of equalizer modes. Simply put, this is a multi-purpose portable media player that will always keep you entertained. We encourage you to purchase one of these no M.O.Q. (no minimum order quantity) MP4 + MP3 players for yourself to see how good it really is, then feel free to contact our customer support team to import larger, bulk priced quantities into your country. Bonus: Premium quality gold plated earphones now included! on 2007-08-10 20:02:06 great player! this player can play music and videos!! great player but my only problem is the battery life. after 30 minutes of video playback, the battery is half used already.